Referencing is a way to record (make a list of) the different resources you have used in an assignment or project. There is a particular way of writing this list so that they all look the same and contain the same, important information. Keeping a list in this way acknowledges the original creator of the work and allows the reader to find the information in its original form. You will be expected to reference your work in this way in secondary school and if you go to university. Reference lists are sometimes called BIBLIOGRAPHIES. At UWCSEA the style that we use to write our reference lists is called MLA. It just means that we write the information in a certain order with certain punctuation. The resources are listed alphabetically. When you have all of your items in the list you just export to copy and paste and copy and paste the list at the end of your project. Each resource listed is called a citation. See the example below. Elephant Nature Park, www.elephantnaturepark.org/. Accessed 2 Mar. 2017. "Elephant SPLASH." National Geographic Little Kids, vol. 2016, no. 56, p. 6, EBSCOhost, . search.ebscohost.com/login.aspx?direct=true&db=prh&AN=114897744&site=ehost-live. Accessed 3 Mar. 2017. Hall, Kirsten. African Elephant: The World's Biggest Land Mammal. Bearport Pub, 2007. 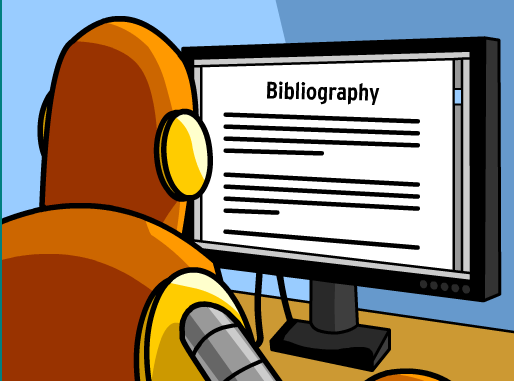 Have a look at what Tim and Moby have to say about bibliographies. CiteFast is one of these tools.